Colectivo: Music from Cuba and New York - Tenth Intervention - progressive new music in New York City. Colectivo: Music from Cuba and New York is a chamber music program including pieces by composers living in Cuba and New York City. 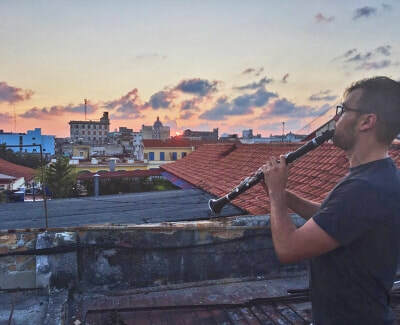 In their Music of the Americas debut, Colectivo: Music from Cuba and New York, the ensemble will present a chamber music program consisting of pieces by living composers who reside in Cuba and New York City. Keyla Orozco: Nengon transformation 1. Colectivo is made possible in part with funding from the Upper Manhattan Empowerment Zone Development Corporation and administered by LMCC. UMEZ enhances the economic vitality of all communities in Upper Manhattan through job creation, corporate alliances, strategic investments, and small business assistance. LMCC empowers artists by providing them with networks, resources, and support, to create vibrant, sustainable communities in Manhattan and beyond.